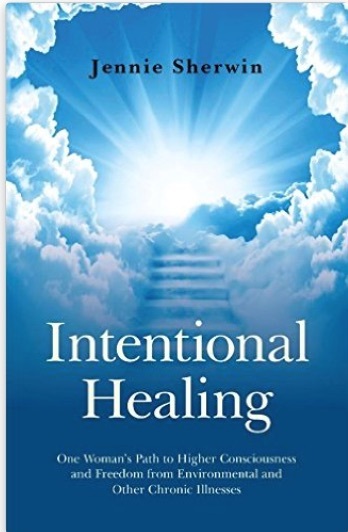 We kick off Bethany Turner’s Pay It Forward Week honoring a well liked author in the Rave Reviews Book Club community—Jennie Sherwin—author of “Intentional Healing: One Woman’s Path to Higher Consciousness and Freedom from Environmental and Other Chronic Illnesses”. This former high school English teacher and writer/editor in the field of public health was propelled to undertake a medical journey that ultimately revealed healing solutions that would inform her journey to self healing from environmental illnesses and chemical sensitivity. “One Woman’s Path to Higher Consciousness and Freedom from Environmental and Other Chronic Illnesses” chronicles Jennie’s travels in search of relief when traditional medicine wasn’t enough. Unselfishly, Jennie has brought all of these answers together, in one place, to share with her readers. To find out more about the environment and health, diet and health, healing and consciousness, and the human energy system, visit Jennie Sherwin’s blog at http://jsherwinblog.wordpress.com. M.Ed. in Administration and Supervision, Author, blogger, and supporter of independent writers. One mystery novel, The Neon Houses, http://amzn.to/2kSqdPX. Hello Jennie. Its so nice to see you again! And Linda Kudos to you for your support of Jennie. Didn’t I see you somewhere before? lol. You are more than welcome, Jan. Now I must research “Stairway to Nirvana”. Thanks for the reblog and the support! Thanks for stopping by, Lz! Thanks for the support! This is a lovely post. Jennie’s book sounds like something people can benefit from. Thanks Beth! PIF always opens my eyes to something new! Life Death marriage and having to face my reality. Prose. Poetry. And everything in between.